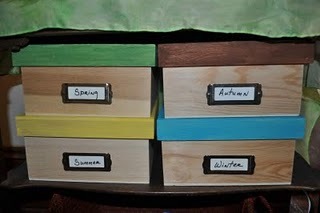 In the post yesterday I did a craft with kids on how to make these great Seasonal Organizing Storage Boxes. Today we took some time to organize our Nature Table items. 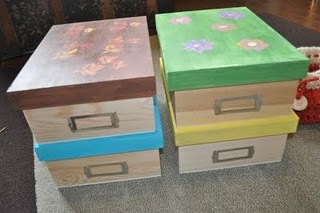 It is important to inspect your handmade items at this time to see if they may need to be repaired or cleaned. 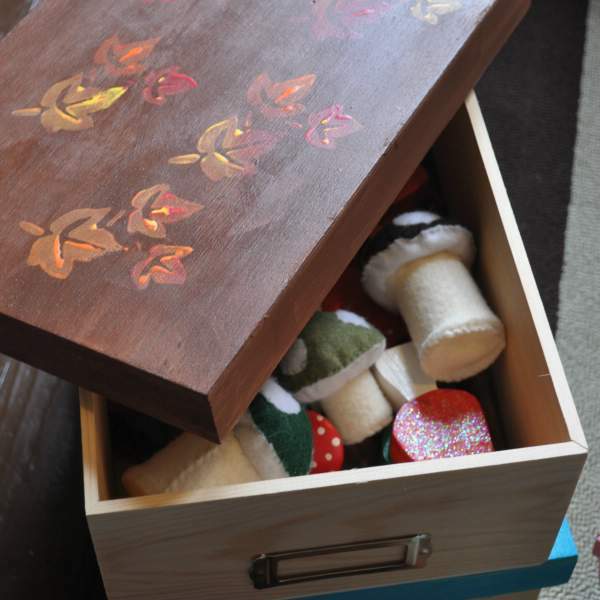 Check out this post about how to care for your handmade toys. 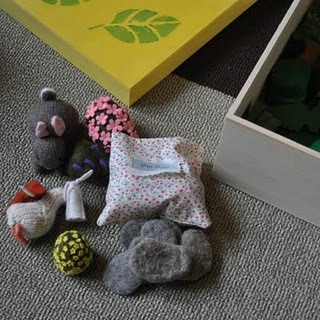 Sorting and cleaning felted wool toys. Cleaning and re-waxing if needed to the wooden toys. We ended up with some unwelcome guest who thought the fairy could use some company! It is hard to get the kids to focus on our task and they often try to wander away but the dog is harder to get him to work, :). Finally we organized by season! We collected the toys and lined the bottom of the box with that seasons playsilk. Some items were added by themselves, while others we placed in cotton or organza bags. 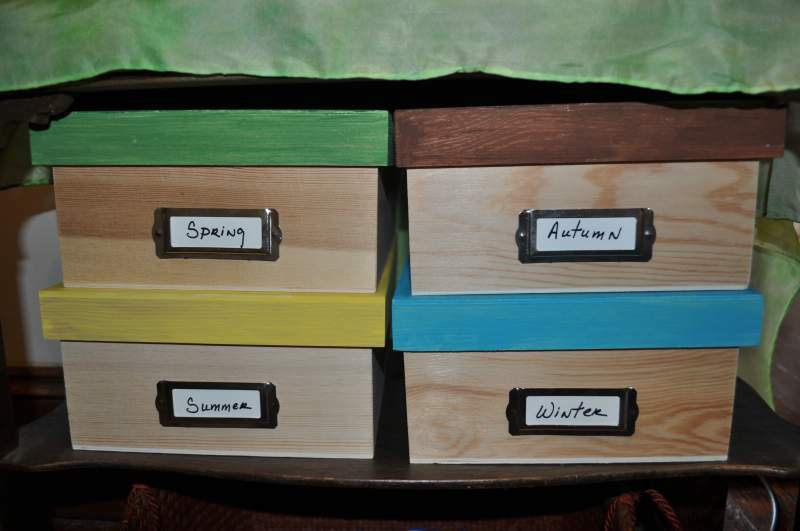 Labeling was our final step before putting them in their new home under the Nature Table! 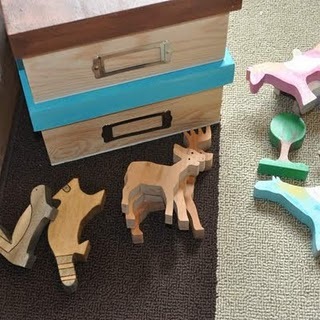 Do you have a great tip for organizing your Nature Table toys? Feel free to share with us your ideas and comments! Welcome! We may be past Valentine’s day…but we’re not finished with the love! 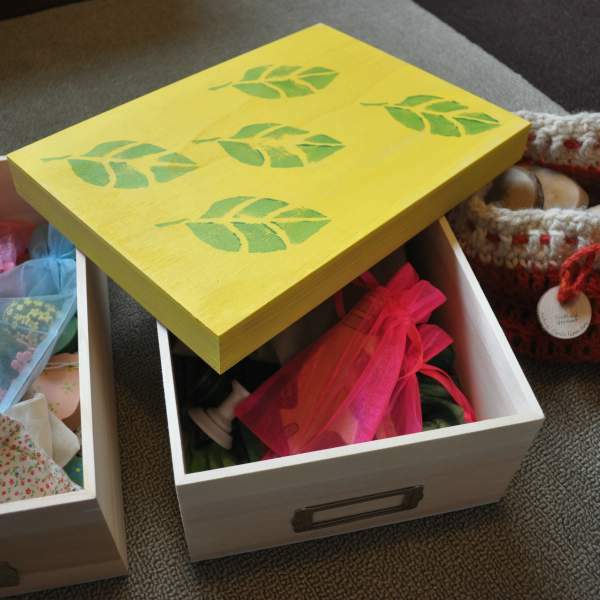 In this case, the love of making handmade treasures created with natural materials from…yes! the Naturalkids Team on Etsy! Today I’m going to continue my trek backwards through the alphabet to bring the stories of our members and their newest listings. The Fairies Nest is the home of OOAK (one of a kind) art dolls, fairies, Waldorf toys, and textile treasures from the Lands of Enchantment. 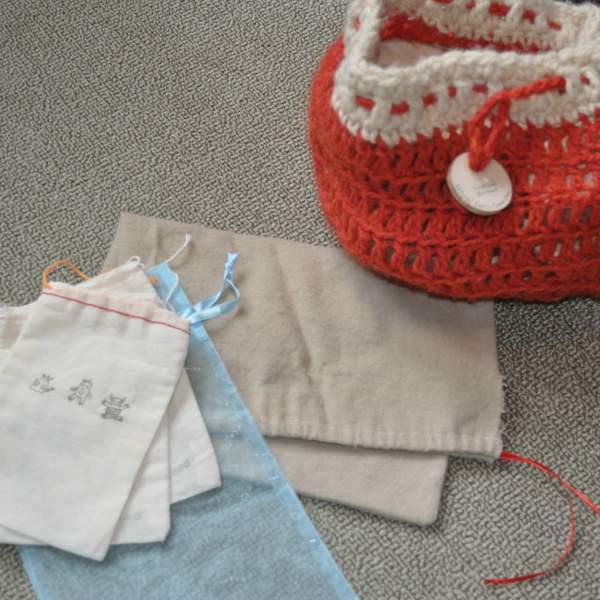 All dolls found there are designed and handmade by Cynthia Toy, using her own patterns and eco-friendly natural fibers and fabrics. Cynthia’s dolls require many hours to make as she designs and creates each doll completely from her own imagination. Many of the dolls are made from the inside out without patterns, and each face is carefully drawn and painted by hand using no patterns or stencils. Because of this, no two dolls are EVER exactly alike, they are all one of a kind; like people, each has its own distinct personality. Sunshadow Slippers is a ‘from home’ business that Tracey runs with her three children. They make indoor shoes for Steiner/Waldorf schools, but they are just as fabulous to be worn as slippers around the house. They are soft and ‘snuggly’ for baby toes all the way up to older toes in need of some nurture. All materials are natural fibers. The soles are leather, the tops are made of snug fitting cotton, and inside there is a pure wool felt insole – your feet will never feel more loved! Sheree, creator of Sheree’s Atelier is an MIT trained chemist. 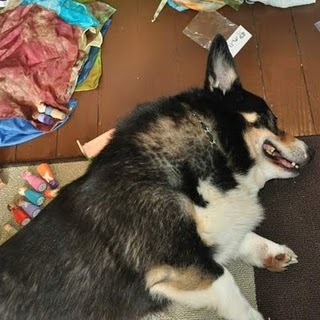 Now, instead of mixing up chemicals in the lab, she prefers to spend her days at home with her family mixing up fabrics and yarns and other magical ingredients to create the items in her shop. 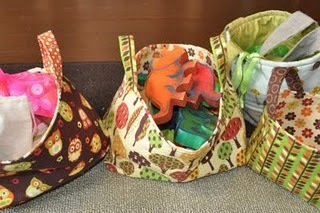 Sheree designs and makes all of the lovely dresses, bags and other goodies from the finest natural materials, and wouldn’t have it any other way. From wooden toys to woolen stuffed animals, slippers and accessories, this week’s selection from the Natural kids Team on Etsy offers you just a taste of the natural creations you can expect to find and make part of your life from our wonderful artists and craftspeople. Look here for a full list of our shops!